How is a DDA formed? 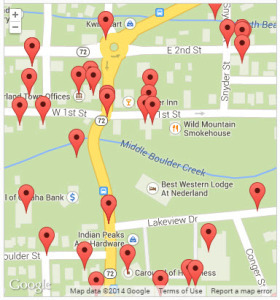 How Does the DDA Work with the Town? 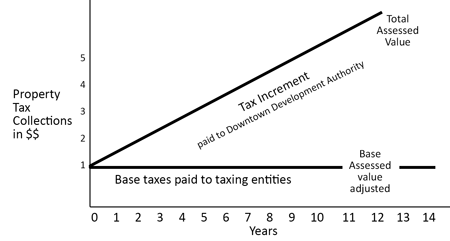 What is Tax Increment Financing or TIF? What is an Operational Mill Levy? Why would a downtown need a DDA? 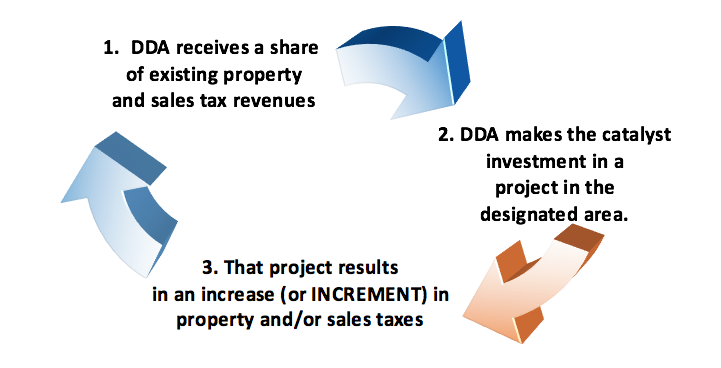 Tax Increment Financing (TIF) is a unique mechanism that enables a Downtown Development Authority (DDA) to use the net new tax revenues generated by projects within a designated area to help finance future improvements. TIF is a new source of tax revenue, not an additional tax, that would not be available but for new investment. TIF keeps the tax dollars from going into the general funds and instead re-invests these funds into investments to improve the property and services within the DDA area. 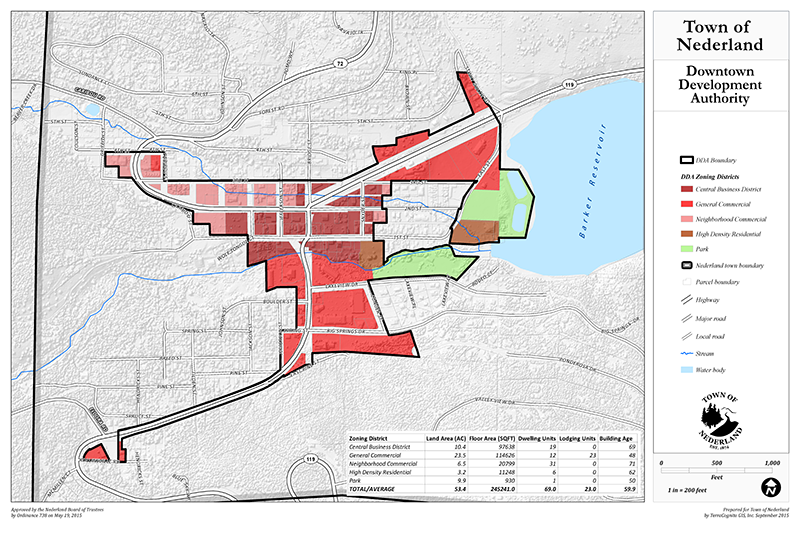 Focusing on improvements in a downtown area will increase sales tax and property taxes that go back into the town’s general fund for improvements throughout the whole town.